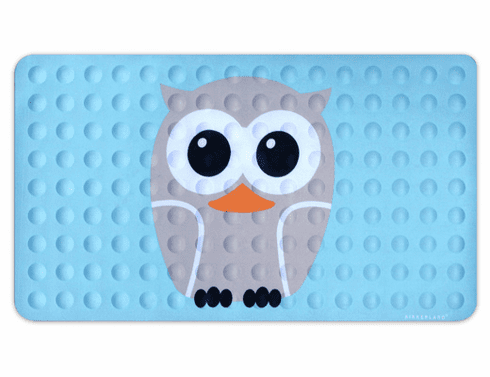 The Kikkerland collection of bath mats puts a new spin on an old tale. Designed by Martijn Duerloo there are a variety original creations to choose from. All the mats are latex free, mildew resistant natural rubber with no slip super suction cups on the bottom side. Safety and design all in one. Owl version.